A key ingredient – Huperzine A, a plant extract, prevents the breakdown of an important neurotransmitter, acetylcholine, which is involved in focus, concentration and processing of information. 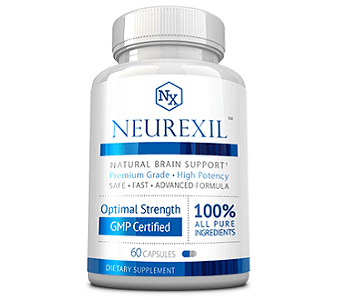 Glycerylphosphorylcholine and Acetyl-L-Carnitine, also present in this product are precursors to acetylcholine, and so increased levels of them in the body also increase levels of this neurotransmitter. Another ingredient is Lion’s Mane Mushroom which has scientifically been shown to increase levels of a protein known as Nerve Growth Factor in the brain, which improves brain plasticity and thus memory. Mucuna Pruriens, another plant extract, contains large amounts of a substance called L-dopa which is converted to dopamine in the brain. Dopamine is the neurotransmitter associated with positive moods. These plant extracts also contain antioxidants. L-Theanine and gamma-aminobutyric acid are amino acids which act on neurons stimulating relaxed and calming signals in the brain. This supplement contains vitamins B6 and B12. The B vitamins are important components of brain cell metabolism and sufficient levels of them are necessary to maintain brain health. Scientific research has shown how they contribute to serotonin and dopamine production, memory retention and energizing brain cells. There are other B vitamins which are not included in this product that could be included to enhance these effects. Two final ingredients – Pterostilbene which is an antioxidant that protects the brain from inflammatory damage and premature aging, and caffeine, which is a known stimulatory substance that increases alertness are present in this supplement. 2 capsules should be taken daily. It is not specified by Maven Labs whether they should be taken with food or not, or at what time of the day they should be taken. This product contains caffeine which some individuals may display hypersensitivity toward. It can also cause dependence on this supplement. One bottle of 32 capsules can be bought online for $34.99. A 5% discount is offered for every bottle when multiple bottles are bought at once. So 2 bottles will cost $62.98 and 3 will cost $89.22 and so on. 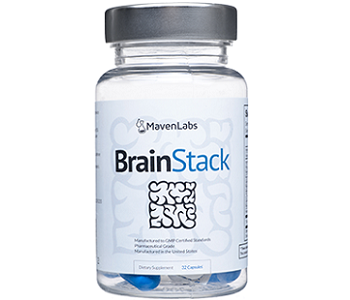 Maven Labs offers what they call a 60 day productivity guarantee, though they do not explain what this guarantee means – i.e. what condition the product must be returned in and how much of the original purchase price will be returned. There are only a few customer reviews available for this product and they present mixed claims. The product seems to have worked for some but equally not for others. Although this product contains many scientifically supported ingredients which appear to have definite beneficial effects for the brain, there are a number of limitations associated with this product. Firstly, the inclusion of caffeine in the product troubles us because it has some side effects and can cause a dependence. Additionally, more B vitamins could have been included. Secondly the directions for use and the guarantee for this supplement are ambiguous. Lastly, the few customer reviews available show mixed opinions about the product, meaning that there is not a majority of customers who are satisfied with this supplement.